The classical music written by Benjamin Britten and named "War Requiem" that we present you now was composed between 1961 and 1962. 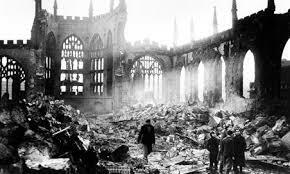 It was made in honor to the new Cathedral from the United Kingdom, the "Coventry Cathedral" destroyed during the Second World War and reconstructed for that period. Yes it is, the war is almost always present on the classical music and Benjamin Britten made the first concert of this composition in the new building.